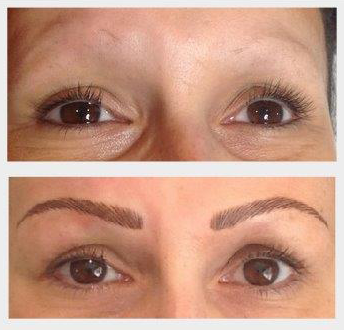 There is currently a Microblading craze hitting the UK and with many clients wanting eyebrow enhancements I would like to help you understand the differences between Semi Permanent Tattooing and Microblading. There is a very specific technical side to both procedures this needs to be stressed. Ensuring that certain protocols are followed is vital, things such as correct implantation of pigment, understanding basic rules to follow with regard to face shape; colours and hygiene are the very minimum requirement. This is an Art form and the artistic ability of the technician coupled with technical expertise is required for both procedures. A 2 day or less training course is not what you are looking for from technician MAKE SURE YOU DO YOUR RESEARCH!! I personally have over 15 years’ experience and a Master technician and instructor both in the UK and USA and this is what I want to share with you so you can make an informed decision. 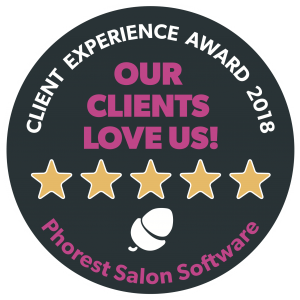 I also personally do both procedures and have happy clients with both so I don’t have a vested interest in either but just want to give you my honest observations and opinion. When you know the facts you will be happy because you have realistic expectations. So firstly let me explain the difference to you. Both should be semi-permanent and this is dependent on where in the dermis the technician implants the pigment. In my opinion there is less control with the blade than with the needle, the blade is totally dependent on the technician getting each stroke of the blade implanted at the correct depth and as the needle can be set to a specific depth more control is available. Blades are bigger than a single needle or needle cluster. A needle cartridge also has a reservoir for smooth and regular implantation of pigment whereas with a blade this is done by dipping the blade in the pigment and then also applying pigment to the bladed brows at the end ofÂ blading, so saturation of pigment is less accurate. That Microblading gives a more natural effect initially I do think is true and if you want something that is lighter and doesn’t look as ‘tidy’ then this is a good way to go. However whilst the immediate effect can look more natural I think in the long run it doesn’t make much difference as the hair strokes from blading fade faster and as it is impossible for a technician to go over the exact same stroke manually with a blade a much more blurred effect with be assumed in a relatively short space of time, as long as the technician who is tattooing really knows how to create natural looking hair strokes these will look great for longer and if you want a denser brow that is very precise then Tattooing is best. Tattooing definitely lasts longer than blading with realistically boosts being needed every 6 months for blading whereas 14-18 months being a very realistic expectation for tattooing before a colour boost will be needed. Blading is more painful than tattooing because of blade size but also because of the different method of pigment implantation more anaesthetic can be used during a tattooing procedure. So my overall opinion is that semi-permanent tattooing still wins over microblading in the value for money stakes even if it is slightly more expensive initially. If you don’t mind coming for more regular touch ups and do want a much more subtle brow then go for blading.